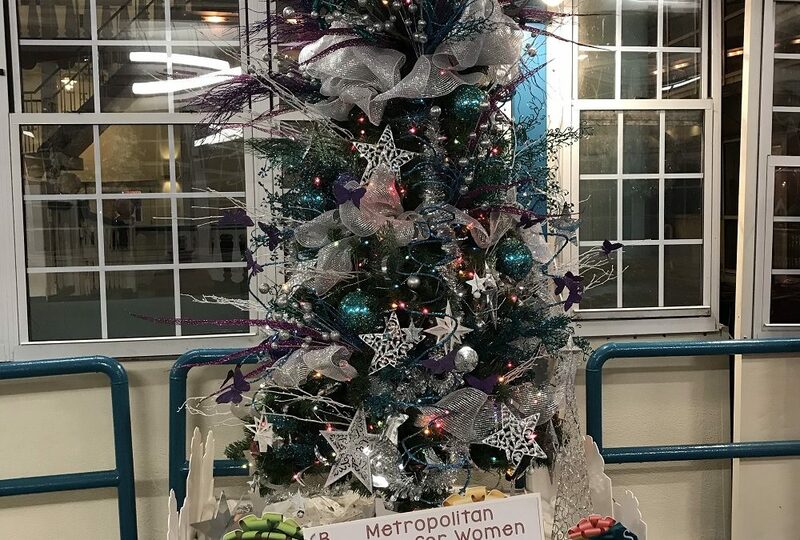 Metro was selected to participate in the Trees of Hope competition with the Treasure Chest Casino in Kenner. On December 14th, the Treasure Chest will be awarding over $15,000 to area charities in their Trees of Hope competition. Trees of Hope is a friendly tree decorating competition. The decorated trees line the walkway of the Treasure Chest. This program allows Metro the opportunity to bring awareness to our agency. The tree receiving the most votes wins! Guests are encouraged to vote for their favorite tree or cause each time they visit the Treasure Chest. Please cast your vote for Metro the next time you visit the Treasure Chest. The theme for our tree this year is stars because “Our Survivors Are Stars”! To cast your vote Metro, you need to get a players card from the casino. The card is free. You only need to show them your ID. Using your player’s card, print out a ballot at the kiosk and circle tree B, Metropolitan Center for Women and Children. The ballots go into the box which is located near the trees. All of the trees are beautiful this year.